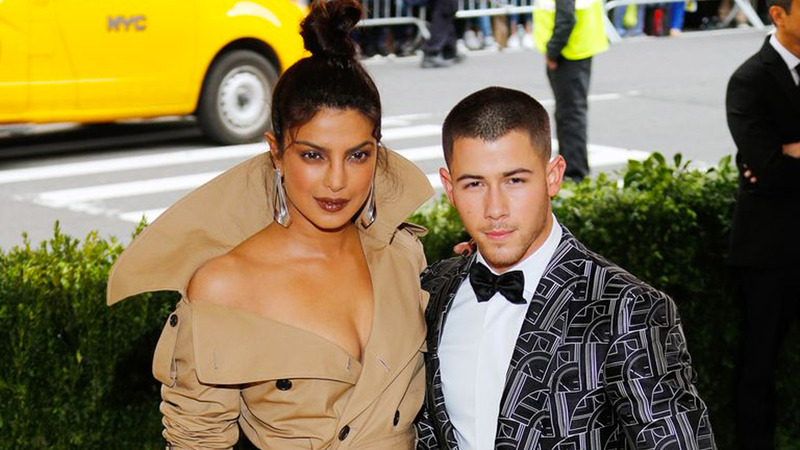 Before Priyanka Chopra and Nick Jonas made it official with her humongous Tiffany & Co. diamond ring, they were mere Met Gala red carpet buddies. But now that they're on their way to the altar, Priyanka is dishing the dirt on how Nick went from ~fashionable friend zone~ to future husband status. After her bridal shower in New York, Priyanka let it slip that Nick made the first move in a very bold, yet incredibly stiff text message. "He texted me. The first time was a text and just saying, 'I think we should connect,' and whatever and that's how we started talking," Priyanka explained. Wait—is anyone else getting LinkedIn vibes from that text?! It's probably safe to assume that the "and whatever" part really sealed the deal because that "connect" portion of the message sounds, um, quite professional. Priyanka also gushed about Nick and their "whirlwind" relationship, mentioning that he's the best partner ever. "Just being in the whole situation of finding somebody who can be a partner to you in so many more ways than one is amazing, so yes I'm very excited," she mused. Ugh, this is so cute I can barely stand it. In a separate interview with People, Priyanka elaborated that the key to their relationship is a healthy dose of r-e-s-p-e-c-t. "By that, I don't mean makes coffee for you, not that," she clarified. "But someone who respects the hard work you put into your life." Wow. Take me to church, Priyanka. To her, a respectful person is someone "who respects that if his work is important, so is yours. Or if he makes choices that are important to him, so is your opinion. That's respect, and that's incredible to have." According to Priyanka, no one should settle for less than that, and she is absolutely right. So refer to the above quotes the next time a f*ckboi has left you on read and you're thinking about triple texting. Don't do it!! !